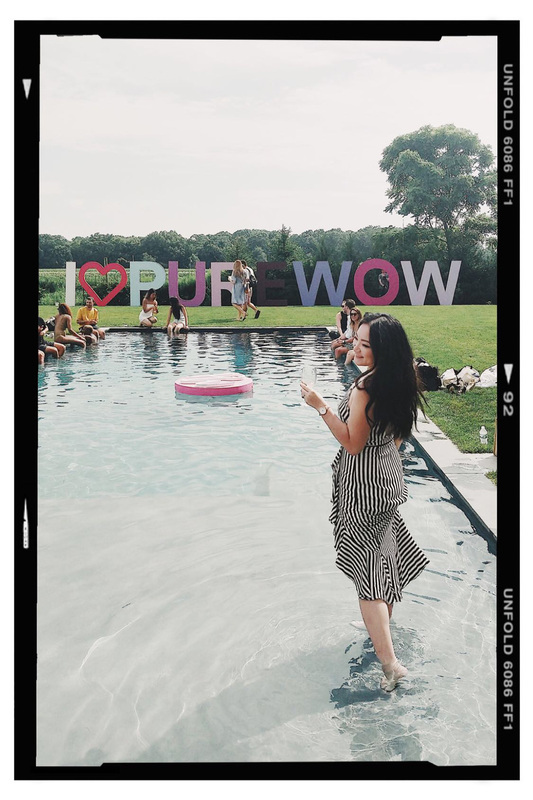 Last Saturday, PureWow invited me out to the Hamptons for their annual influencer party (The Coterie). I obviously had to grab my bestie and head out east with them for a féte to be remembered. It miraculously turned out to be the perfect summer day. We had a good amount of downpours the entire week and a rainy forecast for the weekend. Getting there was a breeze. Everyone boarded a luxe coach bus for an approximate two and half hour trip. Traffic surprisingly wasn’t bad at all. Heading out to Southampton is such an easy weekender option. Once there, I was thrilled to get the party started. Walking into the property, I was already admiring the beautiful front facade of the home. A quick turn into the back and I knew it was going to be a great day. 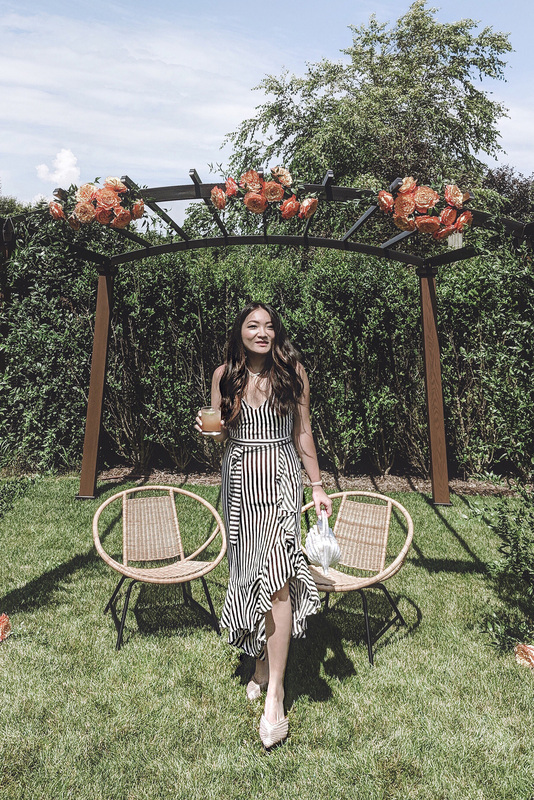 For the event, I decided to go with this Lovers + Friends striped dress with ruffle details. I’m so glad I did because there was so much food and drink! This was such a comfy choice. I know I’m also having a moment with stripes (wearing it in my last post, too). 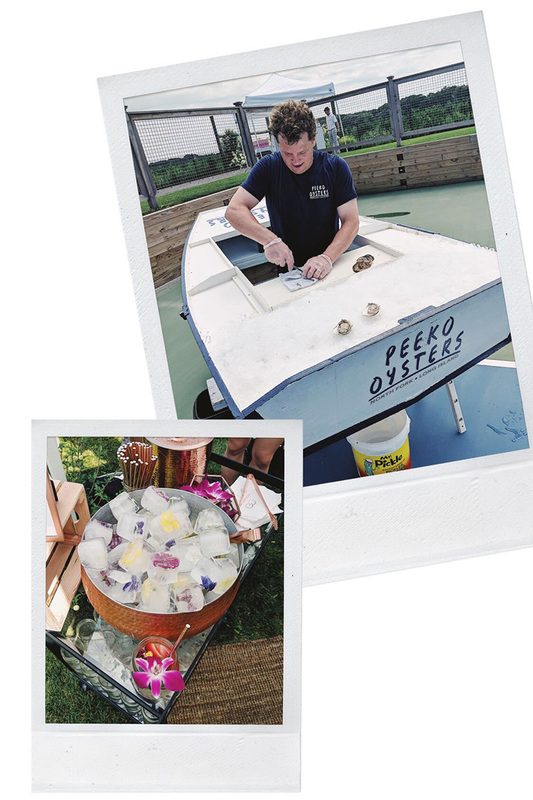 There was some really fun activations happening onsite, but I am here for the oysters and rosé. There were also no shortage of Palomas and tacos. 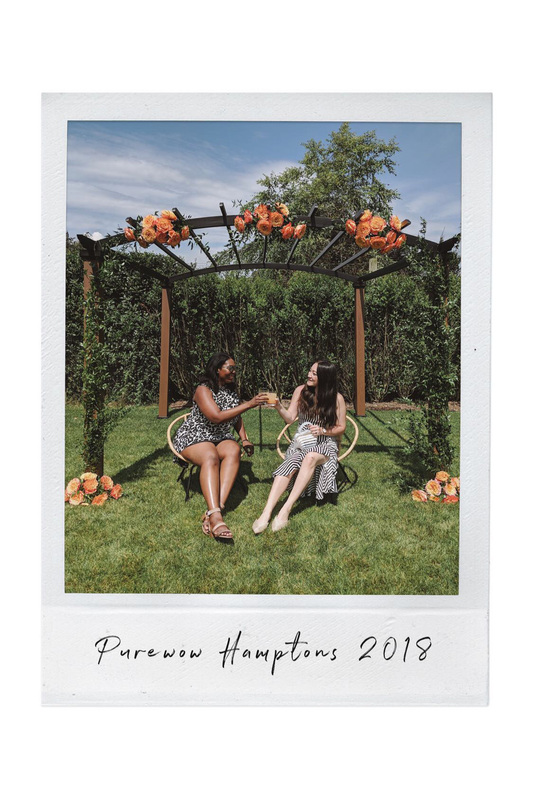 Take a look at the day on my IG Stories, HERE. This is one for the memories! Another great adventure out east. More of my New York weekend trips can be found HERE. Perfect summer look and day!